RadTabControl expose few properties that can be used for controlling its tab strip position. 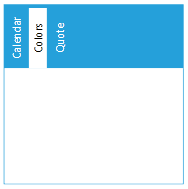 The tab strip panel is wrapped in a LayoutTransformControl which rotates it around the RadTabControl when the TabStripPlacement property is set. For example, when you set the TabStripPlacement to Left a LayoutTransformation with angle of -90 is applied on the LayoutTransformControl and the tab strip is rotated with -90 degrees (counterclockwise). 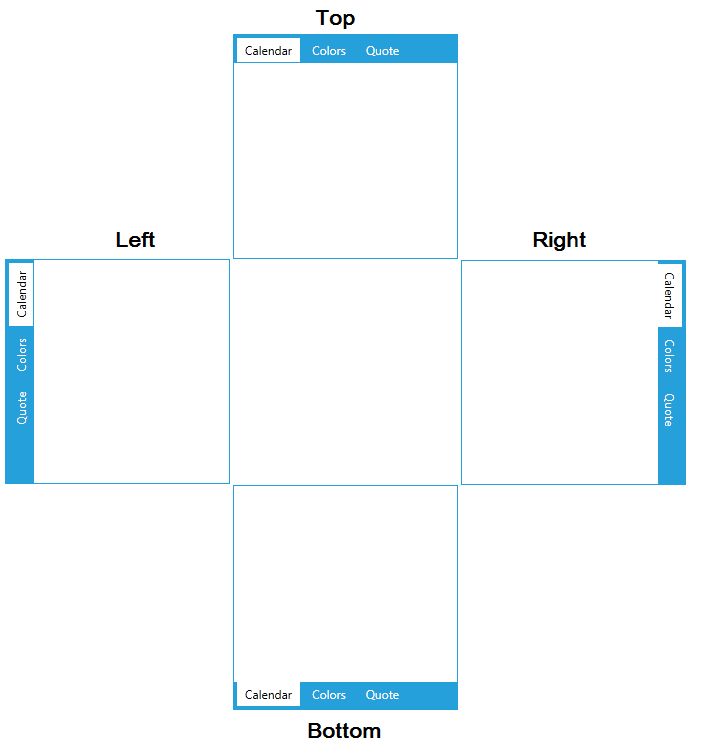 Justify - positions (and resize if necessary) the tabs to fill the available space. Center - positions the tabs in the center of the tab strip. Left - positions the tabs in the left side of the tab strip. This is the default value. Right - positions the tabs in the left side of the tab strip. If the TabStripPlacement is set to Left or Right, the left align positions the tabs at the top/bottom of the tab strip.